The proposed calendar for the 2015-2016 season is online. There are lots of events for fencers of all ages and levels on the schedule this year so take a look and get ready for a great season! 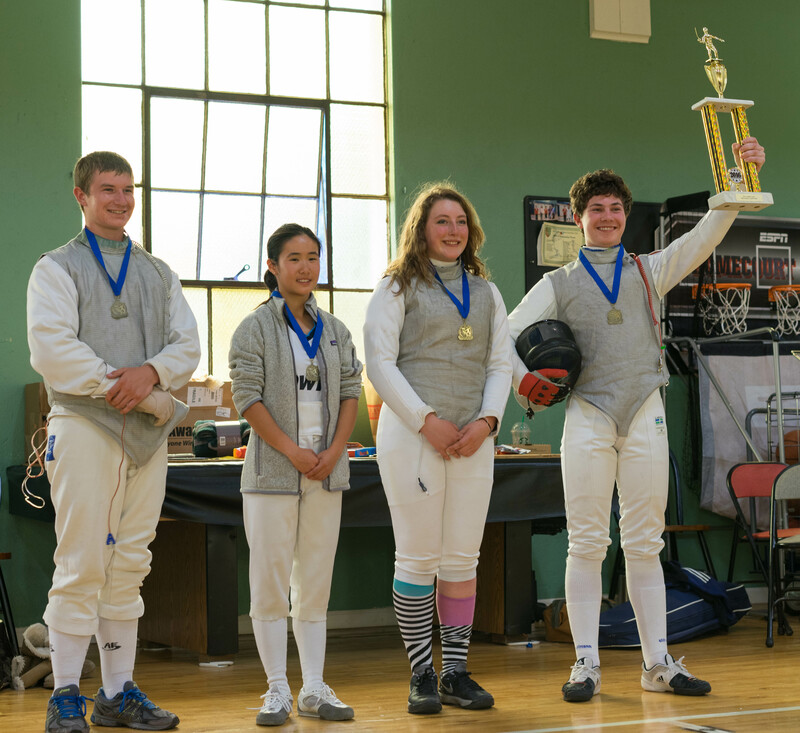 Our second clinic for all fencers 18 and under will be held in Los Olivos on Saturday, January 17th, hosted by the Presidio Fencing Club. More details follow. $15 half day/ $25 full day. USA Fencing membership required. Under arm protectors, full-length pants or fencing knickers (with knee-high socks and non- scuffing gym shoes required. No cargo pants or shorts allowed. Bouting activities will be fenced electric. Electric foil masks are recommended. Some electric gear may be available, but please check in advance. The San Luis Highlanders Fencing Club is hosting a fencing clinic for all fencers under 18 on Saturday, October 18th. The clinic will focus on improving your tactical footwork and blade work skills through fun fencing exercises, games such as Tribal Warfare and Knights Challenge and challenging bouting scenarios plus opportunities to learn valuable tips for competition and make new friends. First we want to thank our out-going Board member Merry McCown. Merry has served on the Board for six years both as a member and an officer. Merry’s service to the CCFF and our community has been outstanding. Thanks Merry! We also want to welcome our newest Board members, Anna Koprack and Russell McCollough. Thank you for joining our efforts to serve our local fencing community! Welcome to the new Central Coast Fencing site! We hope this new format will continue to help us reach our community with the latest news about fencing on the central coast. Let us know what you think!